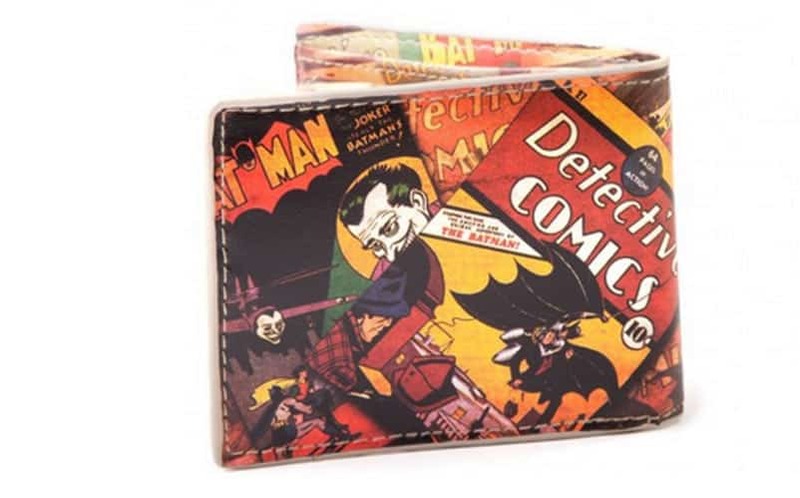 Batman Classic Comic Art Bi-Fold Wallet | Nerd Much? Holy colorful wallet, Batman! We’ve seen tons and tons of Batman wallets over the years, but the problem with most of them is that they’re made of that cheap nylon material. That’s okay if you’re five years old, but how about for grown ups who have no business owning a Batman wallet, anyway? Introducing the Batman Classic Comic Art Bi-Fold Wallet by Merchoid, a simple bi-fold wallet that is made up of 70% Bicast leather and 30% polyester materials. Plastered on the outside as well as the inside of this wallet is artwork from The Detective Comics that started the whole Batman craze. You’ll find Batsy; you’ll find Robin; you’ll find The Joker. It’s delightfully colorful, and gives a nod to classic Batman. You can’t go wrong! For more ridiculously cool stuff to buy, stay tuned to Nerd Much.